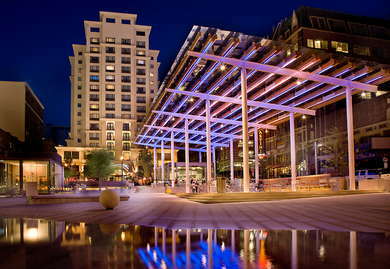 Located in the heart of downtown Portland with an amazing view of Director Park, The Paramount Hotel offers 15-stories of spacious rooms and decent amenities with a warm and cozy atmosphere that has made it a favorite with travelers. 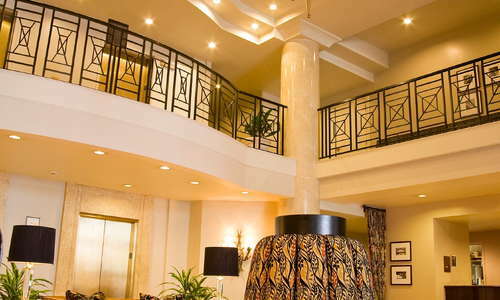 YOU SHOULD KNOW The Paramount Hotel has a strict No Party and Noise policy, so if you’re headed to Portland for a bachelorette or a birthday celebration, you should probably look for a property that will be more forgiving of your 2am dance parties. 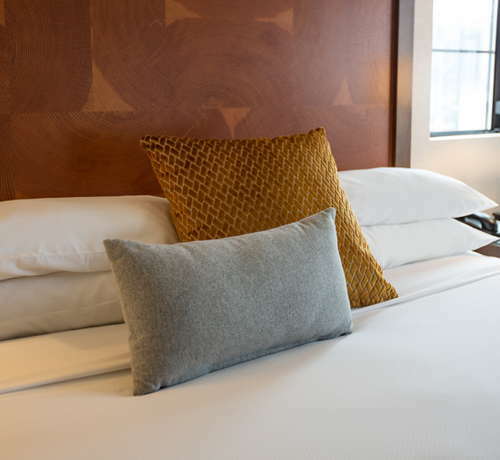 Rooms at The Paramount Hotel offer plenty of space to stretch out while maintaining a cozy, at-home feel thanks to the dark-wood furnishings and rich, earth-toned decor. If you’re a person who enjoys a view (and let’s be real, who doesn’t? 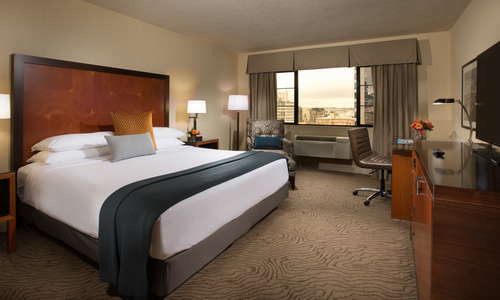 ), make sure to request a room with a balcony, where you can enjoy room service against the backdrop of the Portland city skyline. The bathrooms at The Paramount Hotel are comfortable, spacious, and stocked with Gilchrist & Soames bath products. Some rooms have jetted tubs. Make sure you request one at check-in so you can enjoy some nice, relaxing bubbles after a long day of travel. 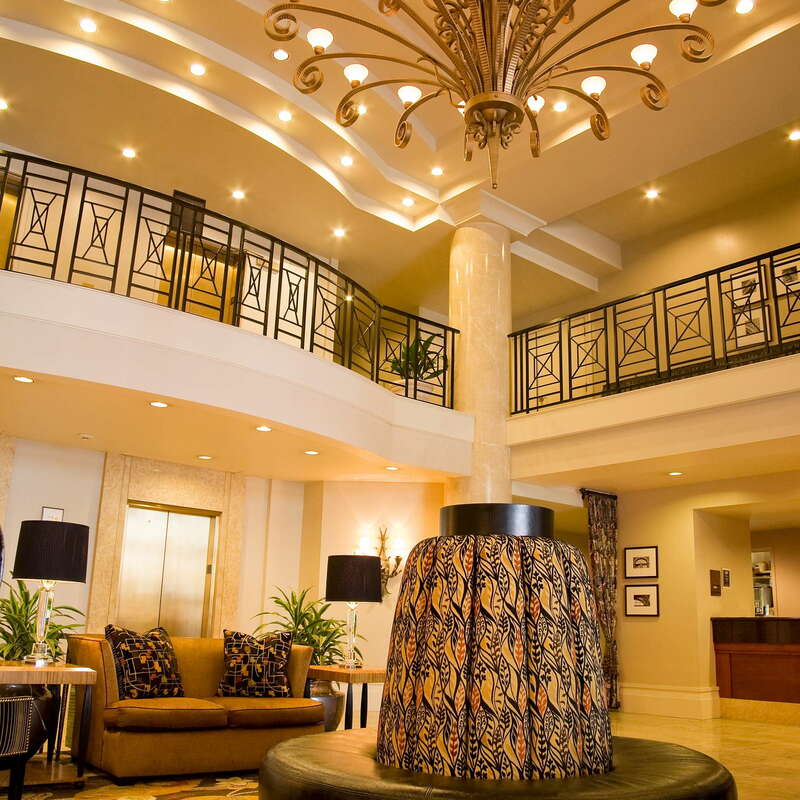 The first thing you notice when you walk into the lobby is the impressive chandelier. The lobby is open, spacious, and has a few seating areas, but there’s not much else going on - no need to stop and linger. The 24-hour gym is stocked with everything you need to get a good workout in, from resistance bands to yoga mats to cardio machines. Swank is a great place to sample a revolving menu of small dishes made with fresh local ingredients, and the dinner counter creates a communal atmosphere that’s the perfect setting for a night out with friends or for meeting some friendly locals during your travels. Swine Moonshine and Whiskey Bar, the sister-bar to Swank, is one of the most popular whiskey bars in Portland for locals and travelers alike thanks to its impressive selection. Make sure to stop by during happy hour (daily from 3pm - 6:30pm and Sunday through Thursday 9:30pm - close), where you can get a killer whiskey cocktail for just $7. 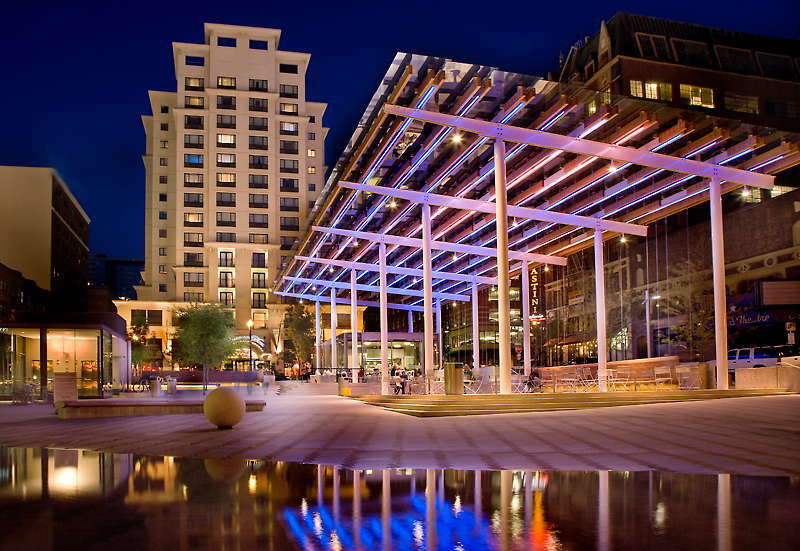 You can easily get anywhere you need to go on foot or on the MAX, Portland’s light rail system (there’s a MAX station just outside of the hotel next to Director’s Park). If you do decide to bring a car, you can valet park at the hotel for $39 per night with unlimited in-and-out privileges. You can also try your luck with self-parking in the neighborhood; there are a few self-park options within a few blocks of the hotel, but they tend to fill up quickly. The dining options are plentiful near The Paramount Hotel. E-San Thai Cuisine (6-minute drive), a family-owned restaurant serving authentic Northern and Eastern thai dishes a block away from the riverfront, is a solid choice for a flavorful meal. Also worth checking out is Maurice (7-minute walk), a french spot well-known in the city for their coffee shop-like ambiance and their wide variety of delicious pastries. There are plenty of drinking options to choose from in downtown Portland. If you’re looking for a creative cocktail selection, make sure to stop by Dig A Pony (6-minute drive), which has one of the most innovative cocktail menus in the city (like the Frozen Peach-Cinnamon Margarita). If you’re more of a beer drinker, check out Bailey’s Taproom (8-minute walk), which features 26 revolving beers on tap (with a focus on local brews). The Paramount Hotel has everything you need in a downtown Portland destination - a cozy atmosphere, spacious rooms, great amenities, and the perfect location to get out and explore all of Portland’s food, drink, and culture. Really, what's not to like?